As I often scan documents that in the end I want to get in Black & White and cropped, I decided to look at the capabilities of the convert command line tool so I wouldn't have to manually change those images. Unfortunately, that prevents you from using the object declaration to extend B. Now you have to use B.prototype.name = value or function. As I was looking around, I was given a link to this tool called sslstrip. Looking closer, I could see that the guy had a point, really! That is, his method works. Not only that, as you can see in the video, running the system for a day you can get the content of POST requests of over 100 passwords, credit card numbers, etc. with a single computer. Although this requires you to have access to a local network to start the man in the middle attack, it looks quite simple to hack a so called secure website. As I was looking at the number of users trying to create an account on one of my websites, I noticed that the reCAPTCHA counter was at about 950. This means that this one single robot tried that many times, in the last 2 weeks alone, to create an account on our website. How common are bad passwords? As I was looking for a hacker site that would offer a complete list of passwords, I found a page that showed the top 25 passwords used on common websites such as Facebook and Twitter, and even email systems like Yahoo! or GMail. The Unix File System -- a Gotcha? When handling files under Unix, you have a mechanism which is completely different than the file system available under MS-Windows and most often programmers who are used to MS-Windows will not understand one of the most powerful feature of a Unix file system. Each file is assigned what is called an inode. When a file is being accessed, its inode gets locked (a simple resource reference count), and once done with it, it gets unlocked. 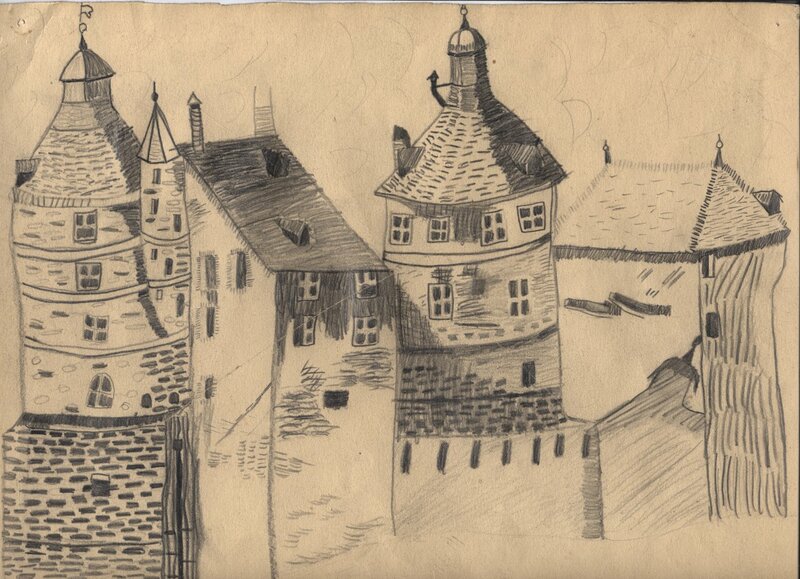 As a kid, one of our teachers asked us to draw the Château de Montbéliard from an old photograph. The castle was still dirty at the time. It has been cleaned up since and the rock looks white. Something that even the people who built that castle most certainly have never seen! This picture won second place. Unfortunately, the kitchen and first palace (center part between the two towers) is not detached from the right tower. My 3D skills were not yet perfect then. Find a picture of the castle in modern time on WikiPedia. As a software developer living in California, I learned of a few things over the years. One of the most incredible thing I learned about is section 515.5 of the code of Labour. More or less, that section says that you are a software developer and make $36/hr or more (or wages of $75,000/year) then you are not eligible for any overtime as defined in section 510. No Overtime for Programmers in California! I was nicely surprised today when I tried to compile the following test function with the -g3 optimization flag. 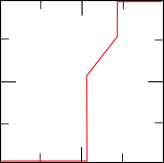 The result makes use of advance arithmetic to compute the 5 or 255 out of the 0 or 1 defined by the result define in b. As expected, though, if a is not 0 or 1, the result may not be what you'd otherwise expect.